Updated Optiarc, the optical drive joint venture between Sony and NEC, has taken the wraps off its first Blu-ray Disc playback drive for laptops, claiming the machine will allow notebook makers to equip mid-range models with the next-gen disc format. 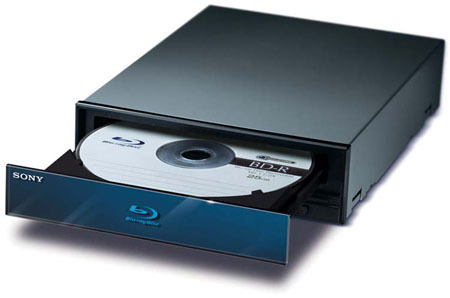 Optiarc's BC-5500A doubles up as a standard CD and DVD burner, writing single-layer DVD±R/RW, dual-layer DVD±R, DVD-RAM and CD-R/RW media at up to 8x, 4x, 5x and 16x speeds, respectively. Optiarc said the drive is available to buy now and that it will retail for around £165 ($335/€238) inc VAT. Separately, Sony also introduced a new desktop BD drive, the BWU-200S. This one can burn BD-R and BD-RE media too, with BD-R recording speed running at 4x - though only 2x for BD-RE. The drive is due to go on sale in the US in November for around $600.